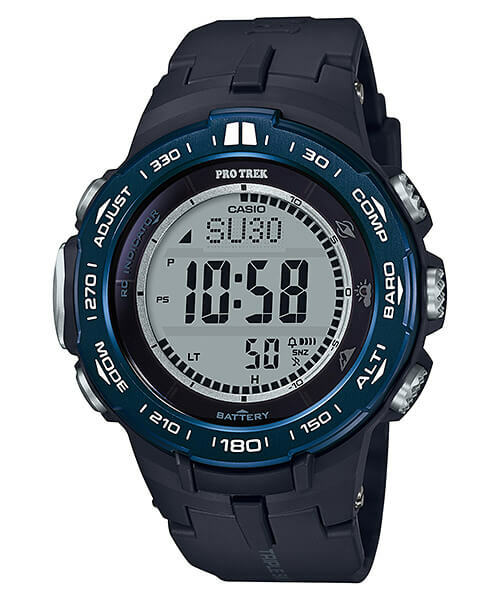 Coming in November 2018 to Japan, the Pro Trek PRW-3100YB-1JF is Casio’s latest addition to the slimline digital PRW-3100 series. The PRW-3100YB-1JF has a blue ion-plated stainless steel bezel with black resin bands and will retail for ¥42,000 JPY. 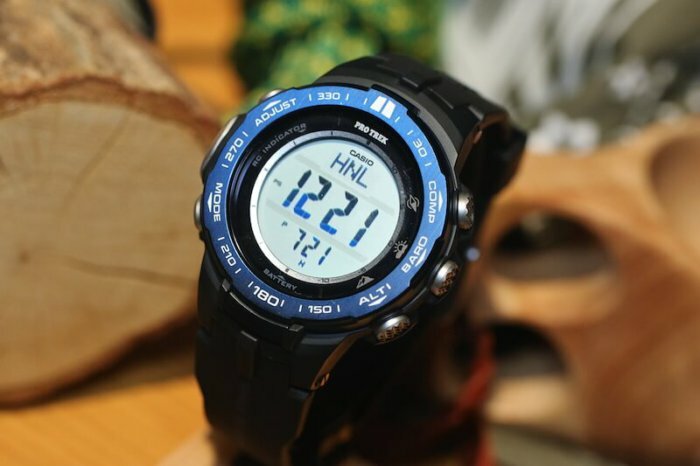 Notable features include 100-meter water resistance, Tough Solar power, Multi-Band 6 radio wave timekeeping, Triple Sensor (with altimeter-barometer, compass, thermometer), and a high-contrast super-twisted nematic (STN) LCD display. Measuring 56 x 47.1 x 12 mm, the PRW-3100YB-1JF is one of the smallest all-digital Pro Trek watches available.